WTF!!! 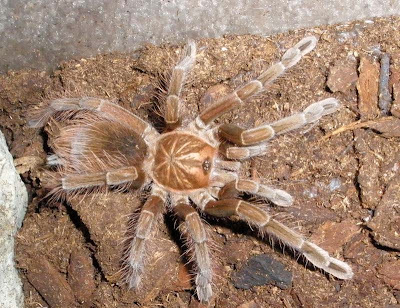 I'm not really sure why people would keep these exotic spiders as pets... they're cool to look at but I wouldn't want one. Sorry I haven't been on the blog much, lately. I've been studying extra hard. I'm getting my masters in entomology right now. 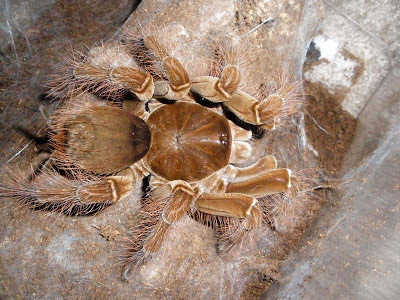 My focus is on spiders and myriopods (centipedes, millipedes, etc). So soon I'll officially be an expert. DIMA- We keep them as pets because we love them. No different from keeping a dog, bird, fish tank, or anything else. 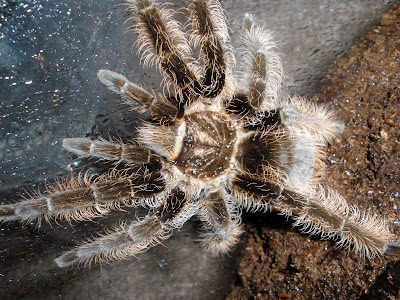 It's just our prefered type of pet. Jaden, you've always been an expert here, official or not. Good luck with the studies. 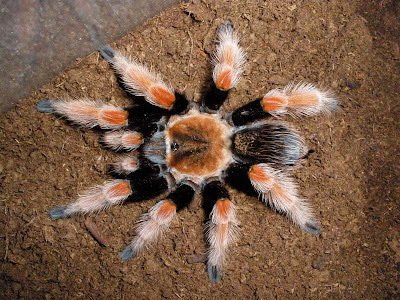 I'm not a big spider person, but that last one, the orange and black one, is absolutely gorgeous! Also, they all make me want to pet them. So fuzzy. Oh! What beautiful spiders! 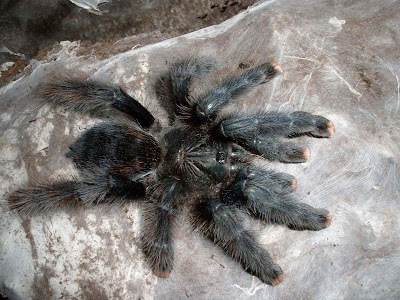 I love tarantulas. These are truly beautiful darlings! I get goosebumps just by looking at these. I would probably even go as far as saying I hate spiders. And then there's that last picture... Absolutely amazing, so beautiful!